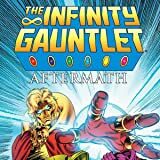 Collects Infinity Gauntlet (1991) #1-6 and bonus extras! 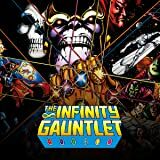 For the Mad Titan, Thanos, the Infinity Gauntlet was the Holy Grail — the ultimate prize to be coveted above all else. With it came omnipotence: the absolute control of all aspects of time, space, power, reality, mind and soul. But his gaining of supreme might meant the beginning of a black nightmare for the entire universe. 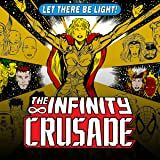 Now, on the edge of Armageddon and led by the mysterious Adam Warlock, Earth’s super heroes join in a desperate attempt to thwart this nihilistic god’s insane plunge into galactic self-destruction. Should the heroes fail, the astral gods of the universe wait to step into the fray. But in such an awesome cosmic conflict, will anyone prevail? Will anyone survive? 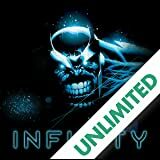 The original Infinity epic is collected alongside a Gauntlet-full collection of behind-the-scenes extras! 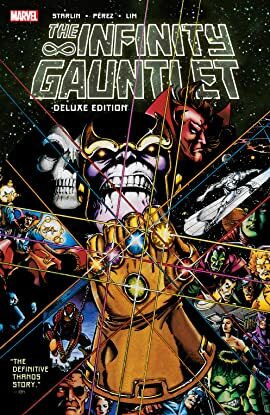 For Thanos, the Infinity Gauntlet was the ultimate prize to be coveted above all else. With it came omnipotence. Now it's up to Earth's super heroes to make a desperate attempt to thwart this mad god's insane plunge into galactic self-destruction. 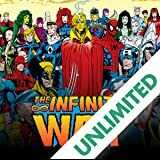 When evil dopplegangers of the Marvel heroes appear, it's all-out war! Why has Magus unleashed them on an unsuspecting world? And is the heroes only hope...Thanos?! The Goddess has half of the Marvel Universe on her side, but if she doesn't get her way, she's ready to destroy all of it!